League of Legends Patch 9.6 arrives Wednesday, brining a bevy of new changes to the live client. Here are the five biggest changes expected to enter the game in Patch 9.6. The next League of Legends VS event will headline Patch 9.6. This iteration pits cats against dogs as a tie-in to Riot Games' April Fools' Day celebration. 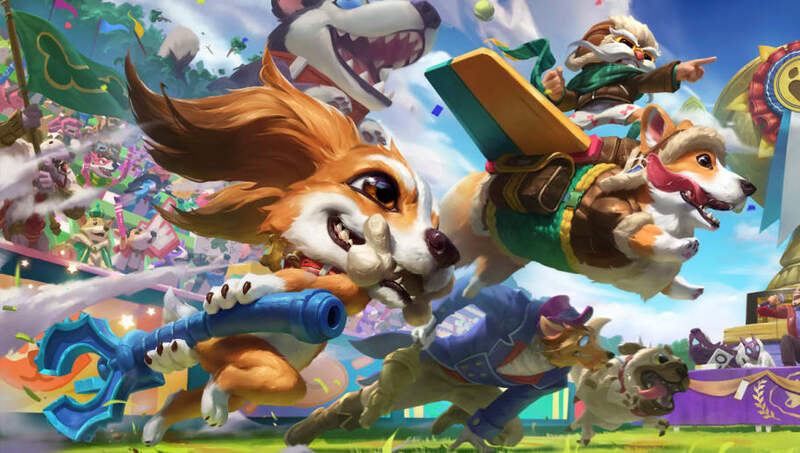 Corgi Corki, Fuzz Fizz, Fuzz Fizz Prestige Edition, Meowrick, Pretty Kitty Rengar and tons of other cosmetics will all hit League of Legends during Patch 9.6. According to Riot Games employee Joshua "Jatt" Leesman, creep score bounties will be around 25 percent smaller in Patch 9.6. Additionally, CS bounties will decrease as players lose their advantage, support item gold will contribute to CS bounties, and team CS averages now account for support item gold. Urgot is receiving a minor rework in League of Legends Patch 9.6. His Echoing Flames (Passive) will no longer deal reduced damage to enemies it hit in the last five seconds. His Purge (W)'s shield will be moved to his Disdain (E). Plus, he'll receive a whole bunch of balance changes that should raise his power level on the whole. As is often the case with League of Legends patches, 9.6 will bring balance changes to several heroes. Chief among the changes are nerfs to Sylas' Kingslayer (W)'s heal and to Zoe​'s Sleepy Trouble Bubble (E). More than 40 skins will receive bios in League of Legends Patch 9.6. The list includes new skins, such as Meowkai and Fuzz Fizz, as well as older skins such as Matador Alistar and Gentleman Cho'Gath.